An old popular saying claims that a real Russian woman can stop a galloping horse and run inside a burning hut to save her loved ones. To celebrate March 8, International Women's Day, RBTH lists Russia's most successful women, each of whom certainly can meet these challenges. Speaker of Russia's Upper Chamber of Parliament, the Federation Council, is the third most important figure in the government after the president and the prime minister. Valentina Matvienko has had a long career - in the 1970s and 1980s she worked in the Communist Party in Leningrad. After the collapse of the USSR she was Russia's ambassador to Malta and Greece, and in the 2000s she was Governor of St. Petersburg. After leaving her gubernatorial post in 2011, Matvienko became Chairman of the Russian Federation Council. She supports all of Vladimir Putin's policies, and she has criticized Western sanctions. She halted Russia's membership in the Parliamentary Assembly of the Council of Europe, and promotes the expansion of regional authority. 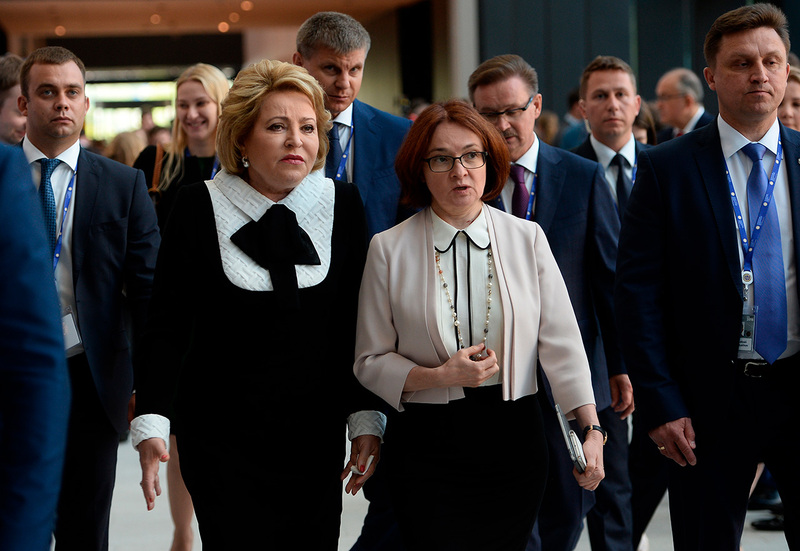 Matvienko often speaks in favor of increasing women's role in politics, and in February she joked that, "male politicians with their brutal style have failed to manage the world." Isinbaeva, a 28-world record holder and Russia's most famous female athlete, ended her career in 2016 on a sad note. The International Association of Athletics Federations (IAAF) banned Isinbaeva, as well as other Russian athletes, from competeing in the Olympics in Rio de Janeiro. The reason was the doping scandal, even though Isinbaeva herself was not caught using illegal substances. "I was not given the chance to leave sport in a glorious way," said Isinbaeva. She could not sit and do nothing, and so later in 2016 she was elected to the IOC Athletes' Commission, where she promised not to allow any more injustices against Russia. Moreover, Isinbaeva joined the Olympic executive committee of Russia and is now head of the supervisory board of the Russian Anti-Doping Agency. Half jokingly, she said that she might participate in the 2020 Olympics in Tokyo. Zelfira Tregulova is one of the most experienced managers in Russia's cultural world. Before becoming director of Moscow's Tretyakov Gallery in 2015 she had worked in other large Russian cultural institutions - the ROSIZO Exhibition Center and the Moscow Kremlin Museums, and before that she curated exhibitions of Russian art in the U.S., Germany and Italy. After Tregulova became director of the Tretyakov Gallery the museum's popularity dramatically increased. For the first time in many years the museum's exhibitions were important cultural events. Over 4,800 people came to see the Valentin Serov exhibition daily and tickets for the Vatican masterpieces were sold out in 15 minutes. "Thanks to Tregulova the Tretyakov Gallery has entered an era of Renaissance," her colleagues say. Former Minister of Economic Development Elvira Nabiullina came to the Central Bank in 2013, on the eve of an acute economic crisis when inflation shot up from 6 to 11 percent. To fight the crisis, Nabiullina chose a strict policy aimed at reducing inflation; she increased the Central Bank rate and closed more than 300 Russian banks. Nabiullina's measures, together with the stabilization of oil prices, helped strengthen the ruble. In 2016, inflation fell to 5.4 percent, a low in recent years. She expects Russia's economy to start growing in 2017. Although many analysts believe that the ruble is a dangerously overvalued currency, Global Finance magazine has praised Nabiullina's work, naming her one of the world's eight best central bank directors of 2016. In 2015, diplomat and China expert Maria Zakharova became the first female director of the Russian Foreign Ministry's Information and Press Department. One of the most important figures in Russian diplomacy, Zakharova holds briefings every day, communicating with the press and explaining Moscow's position on international affairs. Before becoming an official foreign ministry representative, Zakharova spoke in favor of livelier and more informal interaction between the ministry and the outside world. She alternates the briefings with Facebook posts, in which she sometimes ironically and caustically addresses Russia's critics. In general, she is far from the classical image of a Soviet diplomat, who tended to be someone restrained and closed. She even danced a Russian folk dance during an ASEAN Summit and proposed to sing a song about Syrian leader Bashar Assad at the Eurovision contest. When in 2016 the YouGov research company surveyed Russians on which celebrity they are most fond of, actress Chulpan Khamatova came in second place, after Angelina Jolie. In her 20-year career Khamatova has starred in almost 50 films and TV series and says that she acts in 20 plays a month. But in Russia she is admired not only for her acting talent. In 2006, Khamatova and actress Dina Korzun founded one of Russia's first charity foundations, Give Life. It all began during a one-time concert, when a children's oncology clinic needed $200,000 for new equipment. As a result, both actresses began taking charity work seriously. In ten years of work, Give Life has helped 30,000 children with oncological and other serious ailments. "I support doctors and people who I believe in," said Khamatova about her foundation. "I often replaced my life outside the theater with rehearsals," Diana said of her work in the West. In an interview, Vishneva, one of the world's most diligent ballerinas, says she rehearses six hours a day, even though many of her colleagues work 1-2 hours. Vishneva's incredible persistence and talent have brought her a status as one of the world's leading ballerinas. She dances in the world's top theaters, from La Scala to Covent Garden, and she is not afraid of new ideas, dancing both classical and modern choreography, and performs in experimental projects on a regular basis. Since 2013 she has even conducted her own festival, Context. Diana Vishneva, which presents the works of young dancers and choreographers, both Russian and foreign. After a 20-year career Vishneva still remains one of Russia's most important ballerinas. Russian stylists can be divided into two categories - those who cater to domestic buyers and are hardly known abroad, and those who create the image of Russia in the West but are unpopular in Russia. Ulyana Sergeenko, creator of the eponymous brand (launched in 2013), falls into the second category. Models wearing her fashionable outfits can be seen during haute couture week in Paris rather than on the Russian catwalks. Nevertheless, Sergeenko is convinced that "We are definitely a Russian brand, even though we exhibit in Paris." To create her collections she seeks inspiration in Russian culture and the experience of Soviet women, who, lacking fashion houses and couturiers, created dresses out of whatever they had. Obviously, Ulyana Sergeenko’s dresses are much more expensive and prestigious, and they’re worn by Lady Gaga, Rihanna and Beyoncé. However, their roots remain in Russia.